The official station of Crates Records & Gear! 102.9FM KDIF presents... Conspiracy Radio! Every First Friday with your hosts Siek One, Amoe Rock, and DJ Twist1 live from KDIF studios in beautiful sunny south Phoenix! Featuring exclusive interviews, guest dj sets, and live performances from the valley's best talent and biggest names. Join us each and every First Friday for ... See More Conspiracy Radio on 102.9FM! Broadcasting from a warehouse full of toys..it's DISSENTER RADIO!!! Every week Siek, Ivan (HardLines), Le Idiom, and guests play a B-side mix of genres and talk about graffiti, toys, movies, cannabis, music, policies, & cultural topics. Exclusive interviews, music, and reviews! Live from 102.9FM KDIF studios in South Phoenix each and every Wednesday! Tune in each episode for a new weekly selection of original dubplates and the very best of roots reggae music. Broadcasting in-store events and featured performances LIVE from Crates Records & Gear! 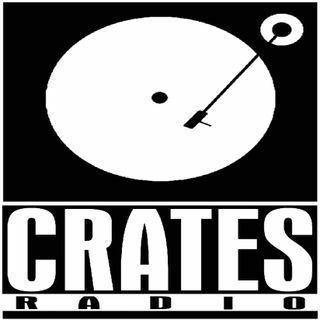 Crates Radio's weekly album review show featuring new music and honest reviews from the crew. Join us at Crates Records & Gear every weekend as we broadcast LIVE for Slope Style Saturdays! Bringing you the very best of underground and true school hip hop with exclusive interviews, guest djs, and live performances in the shop every week.